February 2, 1914 – United States Secretary of War Lindley Miller Garrison approves the Mann Bill, allowing Chicago to carry out Daniel Burnham’s plan for the improvement of the lakefront. Garrison says, “The bill appears to make such ample provision for protection of present and future navigation that I know of no objection to its favorable consideration by congress so far as those interests are concerned.” [Chicago Daily Tribune, February 3, 1914] Garrison issues one proviso with the approval – plans for developing the lakefront as parkland must not interfere with any potential the area has for supporting an outer harbor when the time comes to begin such a project, one that at this point in the city’s history seems a necessity. Garrison states, “A lake front harbor to be of proper availability must be of large area, with good connections to all railroad lines entering the city, and with free and easy communication behind extensive breakwater protections for barge and tug travel to and from Chicago and Calumet rivers and adjoining waterways.” As a result of this stipulation the park cannot be expanded by filling in the lake between Grant Park and Fifty-First Street and from Ninety-Fifty Street to the south of Calumet Park. Garrison’s approval concludes, “It is understood that the present bill is intended to safeguard fully, as is thought by this office not only desirable but necessary, the future interests of navigation, so that the area in question may be readily available for harbor purposes when the time of need arrives. If this be done there seems to be no serious objection to the temporary use of the submerged area for other purposes.” The above photo shows the lakefront in the first decade of the twentieth century from just south of the Chicago River to Twelfth Street. February 2, 1954 – Here is something Daniel Burnham and William H. Bennett did not have in mind when they completed the Chicago Plan of 1909 for the Commercial Club of Chicago. On this date in 1954 the Cook County Board approves plans to build a rocket storage depot on a 20-acre plot that would be set aside as part of a 600-acre forest preserve purchase on the western edge of Busse Woods. The 20 acres of farmland are located south of Higgins Road and west of Salt Creek. 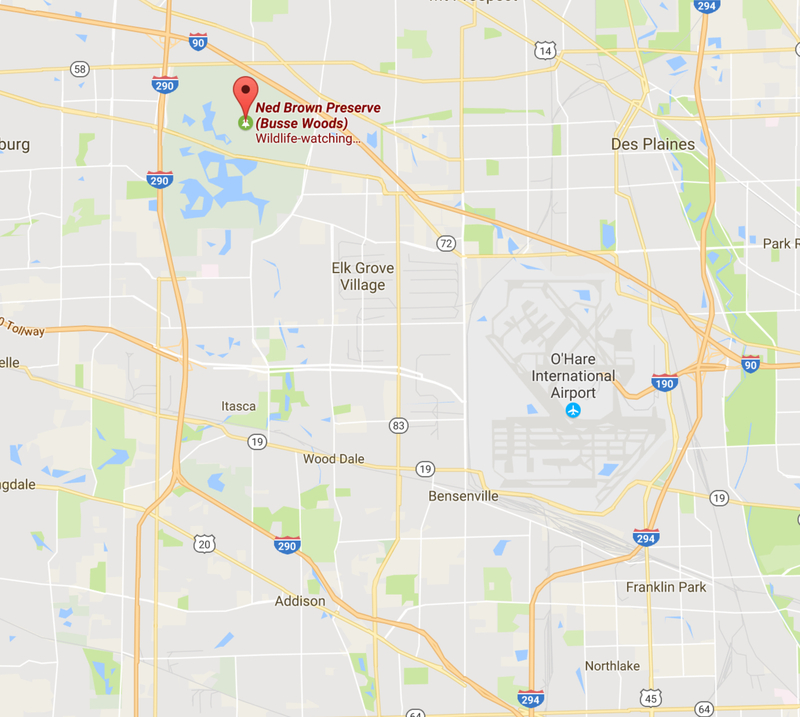 The general superintendent of the forest preserve system, Charles G. Sauers, says that there is only one farmhouse in the area, and that it will be vacated since U. S. Air Force requirements dictate that there must be no human habitation within 2,100 feet of the proposed depot. 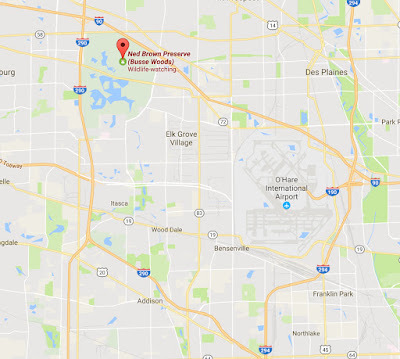 Colonel Harry Woodbury of the Army Corps of Engineers says that there is little danger of an explosion at the site since the rockets will not receive fuses until they are brought to O’Hare. February 2, 2011 -- It's hard to believe that it has been six years already! 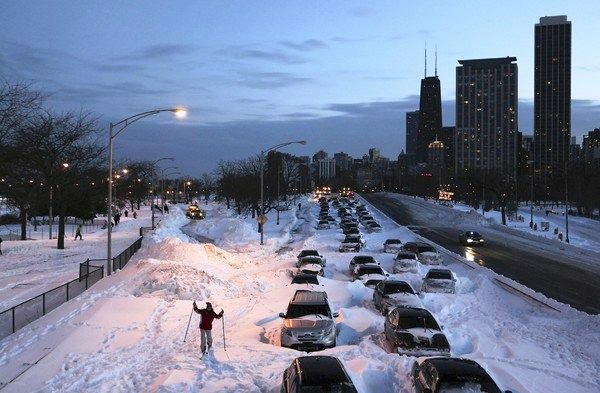 On this day in 2011 Chicagoans were watching the end of the world as it unfolded. Beginning during rush hour the evening before, a brutal winter storm brought 70 m.p.h winds to the lakefront, along with thunder, lightning, and massive waves. Some snow drifts reached ten feet. Schools were cancelled for the first time in 12 years, and Lake Shore Drive was completely shut down with at least 900 cars and buses stuck there overnight and hundreds of motorists and bus riders afraid to abandon their vehicles in near white-out conditions. In excess of 19 inches of snow fell from late January 31 through February 2, the third largest storm in the city's recorded weather history.